As I write, our bees are still quiet, the weather is cold, but mild days will bring them out to visit the snowdrops & crocuses you have planted for pollen. Continue with fondant if you have started - early March is the colony’s most vulnerable time to succumb to starvation. New brood should appear soon, but there are fewer winter bees to care for it. Check your equipment; the season will be here before you know it! Thanks to the many who have already paid their 2017 subscription, either at the January meeting, directly into the bank or by post to Philip. I know that some have moved away & some have given up beekeeping - we will miss you. Membership of DDBKA enables you to loan a hive (for your first year) and also to borrow honey extractors in the summer. We also have 2 solar wax extractors to lend as well as other bits & pieces. We also aim to offer members reduced rates on Ambrosia bee feed syrup in the autumn and varroa treatments. Plus we have honey jars in 1lb, 12oz and 8oz sizes for sale at cost price, but only to current members. Click HERE to download the 2017 Subscription form if you wish to join or re-join. Please get it sorted asap if you haven’t yet done so - we close the Spring list soon after the end of the month. Let me know if you want to join or leave the list of swarm collectors & were not at the AGM in Nov. BBKA have sent me their list for updating on their website, remarking that it was snowing at Stoneleigh at the time of contact! Thanet BKA has kindly invited all to come along to a talk by Kay Wreford, our Seasonal Bee Inspector. She will be speaking on EFB & hive hygiene, both very relevant last season. The only charge will be for refreshments. A talk by Bob Smith on Queens & Queen Raising - The Theory. This talk will be followed by a practical session with Bob in June to which visitors will be welcome, numbers permitting. This is a brand new hall on the main road into Minster from the Thanet Way. Look out for the TBKA sign on the railings. Bring your own lunch. 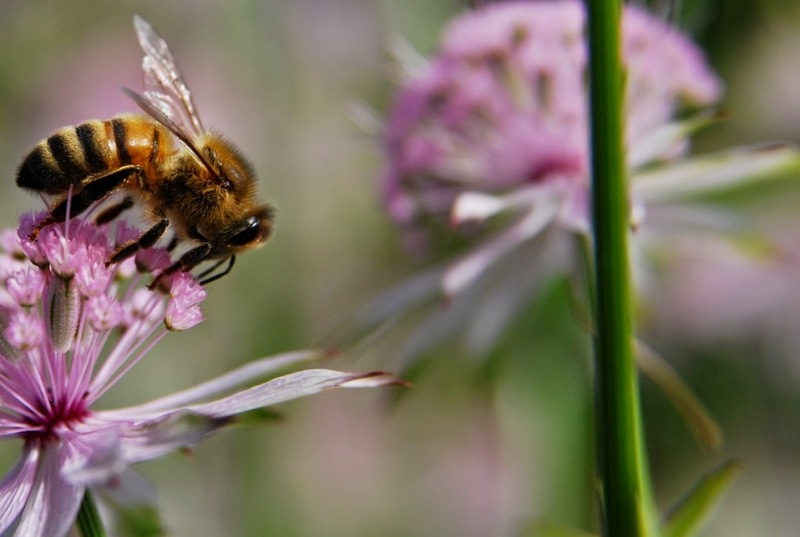 Three science-based lectures related to beekeeping. Free admission, donation to expenses welcome. Honey Extractor: Nine frame radial manual food grade polythene extractor for sale. This also includes a slightly temperamental motor, probably needs servicing. The extractor was in use with the motor in 2016. Penny Rickards is leaving beekeeping. She has 4 National hives, almost new, to sell. Old Wives Lees area. £150 with 2 supers, £165 with 3 supers. Contact Penny on 01227 730602. Saturday 25th February at Alkham Village Hall CT15 7BU 2:30 p.m.
Our speaker is Kay Wreford, very well-known as our seasonal bee inspector. She will be speaking on Alien Invaders, exotic pests we may encounter, Asian hornets & Small Hive beetle. It is no good just hoping we’ll never meet them; the Asian Hornet is just over the Channel! Please pay your subs at the meeting if you have not done it before! Remember to use a sealed envelope with your name on it for your form & payment - it can get confusing! Please also remember to fill in the back of the form. Your subscription pays for: BBKA membership including monthly magazine, BDI insurances, our newsletter & speakers plus allows you access to our loan kit, and to buy our cost-price honey jars, bee feeds and treatments, and lend books from our library. Tea [£1] and raffle as usual. I appreciate you making this post available. Thanks for sharing the form and information. I found some best durable honey bee extractor on thez9. You can check that article. If you have free repair manuals Vauxhall then you can solve any basic problem of your car. Get it from this site.